Some effortlessly used chopsticks to eat mango sticky rice on-the-go. Others sipped bubble tea, or stared admiringly at a newly-purchased bonsai tree while taking a selfie. 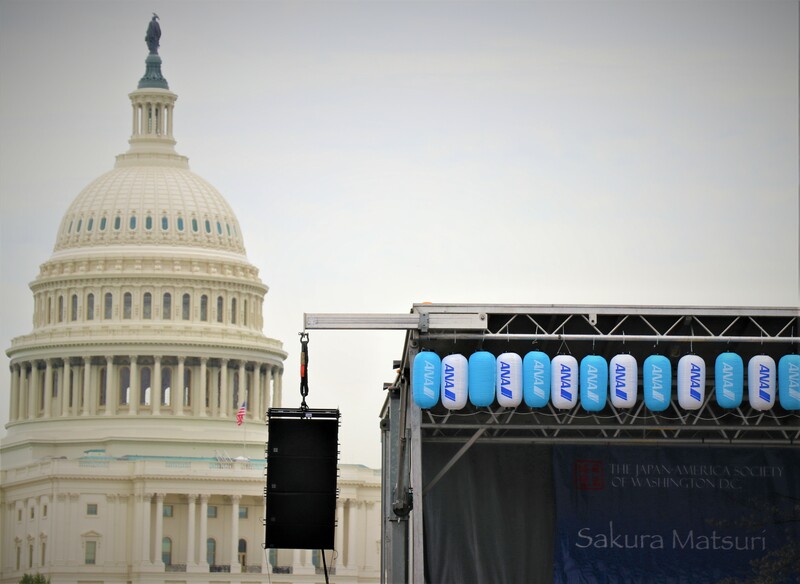 Everyone enjoyed the company of a welcoming community while celebrating the significance of the U.S.-Japan relationship and the final day of Washington, D.C.’s three-week Cherry Blossom Festival. The estimated 45,000 attendees enjoyed traditional and contemporary Japanese food and drinks, such as sushi, gyoza (Japanese dumplings) and sake. “And a few Western varieties as well for those who are less adventurous,” said Shaffer. While eating, they walked through booths filled with Japanese technologies, such as optical illusions and virtual reality headsets, or watched a model train set travel in circles around a brightly colored village adorned with a Godzilla figurine. Entertainment included martial arts performances, contemporary and traditional music, and cultural demonstrations on the four stages placed on Pennsylvania Avenue between 3rd and 7th Streets, where the event took place. The Japan-American Society of Washington, D.C., established by the Japanese Foreign Ministry and the U.S. Department of State in 1957, has since become one of the oldest and largest Japan-American societies in the country. Shaffer spent the past two months working with his team to ensure the festival would run smoothly. With an estimated 45,000 people attending and only about 600 staff and volunteers assisting with the event, “running smoothly” was not nearly as effortless as the day of the festival may have appeared. One volunteer was shocked to learn how much work went into the behind-the-scenes of the festival. The Japan-American Society of Washington, D.C. “had sent an email out to me that said, ‘Hey. We need volunteers,’” said Jacqueline Marquis. Marquis originally got involved with the organization after completing all the Japanese language courses offered at her university. For about a year she has been taking Japanese through the society’s language school, the oldest and largest school of its kind in the Washington, D.C. area. 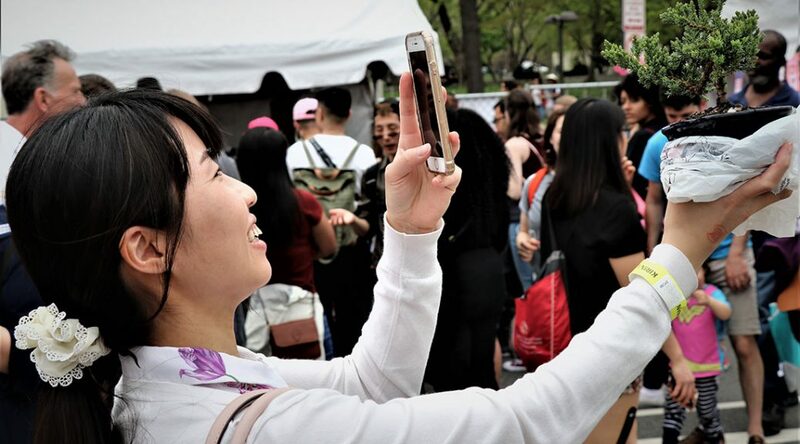 The large-scale festival celebrated more than just the beautiful pink and magenta cherry blossoms that decorate the National Mall every spring. It symbolized the important relationship between the United States and Japan. When attendees of the festival weren’t eating, listening to music, stopping at informational booths, or chatting with friends, they could look up and see The Capital standing proudly in the background, emphasizing Shaffer’s point. “This festival is really a celebration of that grassroots connection that anchors the broader U.S.-Japan relationship,” said Shaffer.